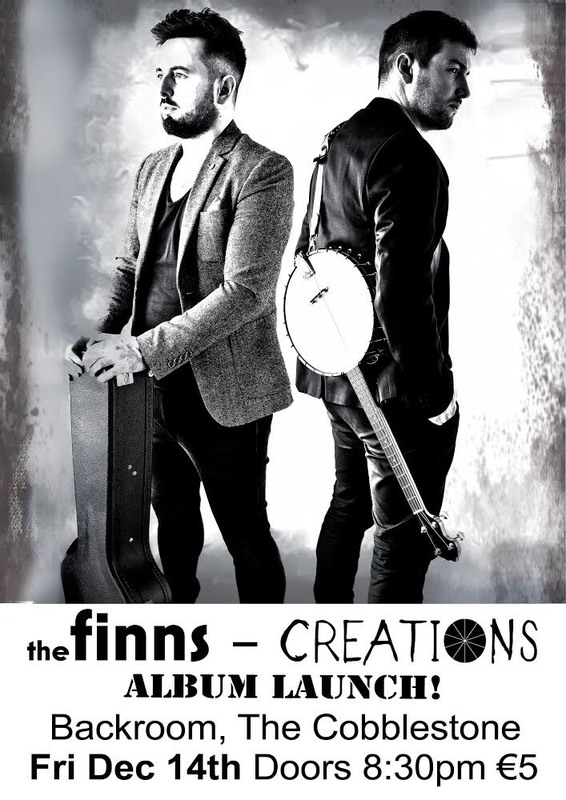 The Finns are two brothers, an alt-folk duo, and they celebrate their long awaited and highly anticipated debut album named Creations. There’s a lot to enjoy from this new album with banjos, acoustic and tenor guitars, and harmonicas, being the heroes. This Cobblestone gig is something that The Finns have been waiting to play for a long time and their calm eagerness to entertain and confidence in performing will be surely enjoyable for all. Their three singles released beforehand were very successful and formed an exciting platform for The Finns to further elevate their success from. The Finns have been gigging extensively in the Temple Bar music scene in Dublin for years and it’s with that constant professional gigging experience, that they have carved out a very tight and impressive set which in turn has given the brothers an international fanbase and many tours to boast both here at home and abroad.